So you just bought yourself a swanky new BSNL EV-DO broadband Internet device. It works happily on your Windows, fine, as they provide a Windows-friendly CD along with the device that installs the required software and drivers easily. But what about if you want to use your EV-DO in Linux, if you have it? Due to lack of official Linux support, setting up EV-DO in Linux can be quite tricky, but here is how to do it easily, without much fuss. Linux comes in many flavors (from different vendors), like Ubuntu, openSuSE, Mandriva, Fedora, Mint. If you have one of these, or any modern Linux distro, proceed as follows. Check for the device ID of the USB modem. You do this using the following command. Run the command first with the modem unplugged, and then with modem plugged in. Compare the output in both the cases; whichever new entry appears in the list is of your modem. This should create the relevant device nodes for the modem in /dev folder. If not, try unplugging and then plugging in the modem. Now your work is half done. Voila! Your Internet should work now, in full glory. To ease up things a bit, you may want to connect to Internet using a graphical (GUI ) tool everytime. Use kppp (KDE) or gnome-ppp (GNOME) for that. UPDATE: As pointed out by my friend Yatin, NetworkManager is another great and easy way to setup EVDO. Most modern distros come pre-installed with it. If not, you can always install it manually. Previous post: What am I thinking? So you finally worked it out. Too bad you had to use wvdial. I am surprised though that NetworkManager with ModemManager didn’t detect the device in first place. Maybe you didn’t knew about a nifty tool called usb-modeswitch, bummer. I didn’t have any problems with any of devices I had tried on with NM/MM, which are: Reliance ZTE (Which has the same Vendor ID and Product ID as yours), Reliance Huawei (new and old), Tata Photon Wiz, Samsung Corby (well not by bluetooth yet), LG phone (forgot the number but a cheap one), Nokia N71 and E71, Sony Ericsson W910i. In my Fedora 14 and Ubuntu 10.10, EVDO’s been configured using NM only. 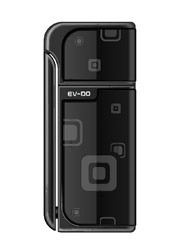 i have no clue how to switch to evdo mode so it would be a great help if any of you could guide me through..
@yatin – thx for the tip.. i’ll try my nokia E63 too with NM.. This is a real weirdo. Try configuring it with wvdial and see it that makes any difference. @anurag – surely wvdial works but it has problem of its own.. NM is far better when used for connections.. anyways i figured that the 1x logo is permanent even if it starts providing EVDO speed.. may be it refers to CDMA.. thx..
Hello sir, please give me the necessary details(step-by-step procedure) of using BSNL EVDO data card(800m) on Fedora 18(32 bit) OS, KDE Desktop environment. please reply me as early as possible. Thanking you. Using BSNL EVDO in the latest Fedora should be very simple. Just use NetworkManager for the purpose. NetworkManager is that little network icon you see in the system tray. Click on it and choose to create a new “Mobile Broadband” connection. Hi I followed the above steps in linux mint but it goes upto the point of contacting secondary dns server(my local IP address is assigned) but then it just remains there. Any help on this?? Thanks. in every forum i see the same thing – install wvdial and gnome-ppp. but how? if i put the command ‘sudo apt-get install wvdial and gnome ppp’ i get only error message something like’E.package wvdial not found’. first i tried with ubuntu 10 and now i have ubuntu 14.04. Hello everyone, thanks for providing this info, i run Ubuntu, Debian, Red Hat Enterprise Linux and NetBSD as VMware guests on Windows laptop, so am familiar only with NAT and vmnetconfig which gives away ip static ip’s 1 to 127 and dynamic ip’s from 128 to 254 to guest operating systems. Setting up the BSNL modem using Network Manager may be straightforward but trying installing the driver software that comes with D Link 3G modem is a bit lengthy you need Qt installed for the gui to run and it is a bit more involved process. If you ever have tried installing third-party modem drivers in SCO Unix for example you will know how difficult it is.